What is the Cheapest Hotel in the World? And is it any Good? When it comes to cheap hotels, there are plenty of Asian “hotels” that can accommodate you for well under a dollar. However, when you take a deeper look, they are hardly hotels! Minimum facilities and bare service make them extremely unfriendly for family trips, honeymoons or even general travel at times. 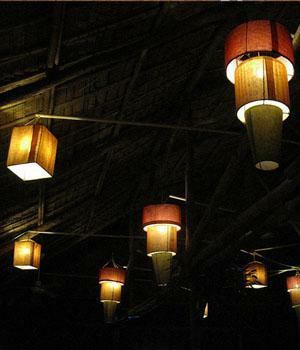 However, if you are backpacking across these countries or are simply looking for bargain holidays, then the Garden Village Guesthouse, in Cambodia, is definitely the place to be. At $1 per bed, it doesn’t get any cheaper than this! What you get for that dollar is also quite amazing. You get a bed in a dormitory, one that comes with a mattress, a pillow and a blanket. Each bed has a mosquito net as an optional extra, given free. And then, there’s the towel – also included in the room’s cost. Considering what you are paying, that is definitely better than the next cheapest option – staying out on the streets. While the dorm-rooms may not have doors, they aren’t quite unsafe or cold. Cambodia’s warm winters and hot summers ensure that you don’t need much more than a measly blanket. If you can overlook the winter-humidity, you’re already over the worst. There is no locker in the room, because (well) it’s hardly a room. You sleep in a shack with a roof, no door and, that’s about it! Your stuff, if you have any valuables, can be left at the reception. If you do want some privacy, then you can always go in for the single, double or even one of those “deluxe” triple-bed rooms. These rooms are between $6& $13 and ensure that you are further away from the kitchen, with safety and security. You can book your private rooms online, from the hotel’s website. However, dorm beds aren’t offered online. While you can always land up and hope a bed’s available, there is also the provision of sending in an email and, sort of, reserving a dorm bed. 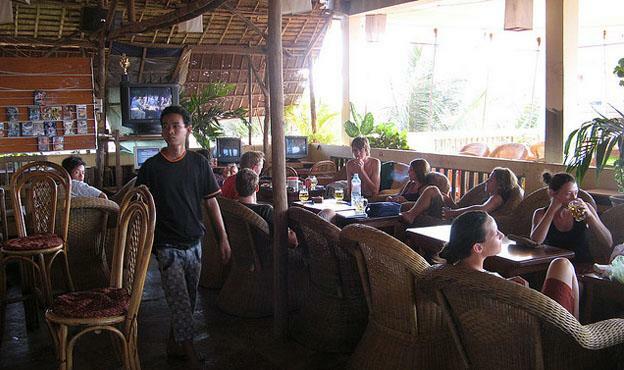 The hotel is ideally suited for backpackers and others who are seeking a simple &cheap stop-over. So what else do you get for your dollars? Here comes the exciting bit! How about a free pick-up in Siem Reap, no matter how or where you are coming in? Whether you’re coming in by boat, bus, plane or taxi, all you need to do is pass on your travel-details and the hotel will have a ride waiting for you, for free! Now you may also find that even the world’s best & most renowned hotels, you end up charging you for Wi-Fi and Internet access. At the Garden Village Guesthouse, there is absolutely no charge! When you’re paying as little as you do, for your room, you don’t expect freebies but these two facilities certainly take you by surprise. For those who are thinking that you’re probably going to end up in the back of beyond, think again! 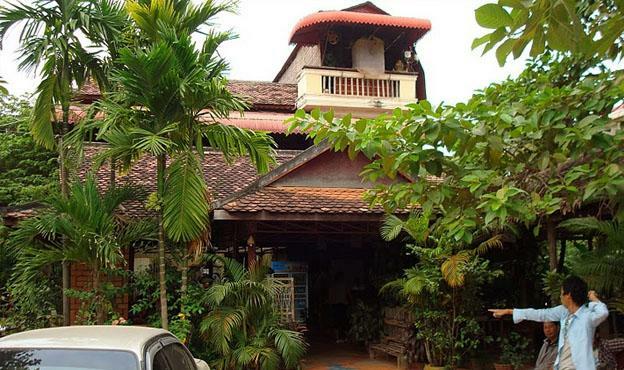 The Garden Village Guesthouse is just a few minutes from Pub Street, the main tourist attraction in Siem Reap. The Centre Market and Old Market of Siem Reap are just seconds away while the hotel has plenty of bars spread around it. When you stay at theGarden Village Guesthouse, you are actually right in the heart of the city. The hotel has a fantastic roof-top bar that offers breathtaking views of the Cambodian Sunset. Not only do you get some great local food, you also get draught beer at 50 cents a bottle. The Garden Village Guesthouse also has an affordable restaurant; while those who’d like to go around town can rent bicycles at the hotel. When you are looking for a hotel that saves you money, you expect to rough it out a bit. When travelling to Cambodia, you can safely say that for the price you are paying at the Garden Village Guesthouse, you are certainly getting your money’s worth and a lot more! I wish i could find a $1 per bed in Miami. I’m going to stay whole year there. Hey this is nice place to stay.